Elmo Specialty cake | Long Island NY specialty cake designs - Land of Cakes NY . Another baby Elmo cake for your kids next birthday party. This sesame street elmo cake is perfect for a kids 1st birthday. Have it decorated in the fondant color of your choice and filled with the buttercream flavor your kids love. We can also make elmo smash cakes for your kids to enjoy! 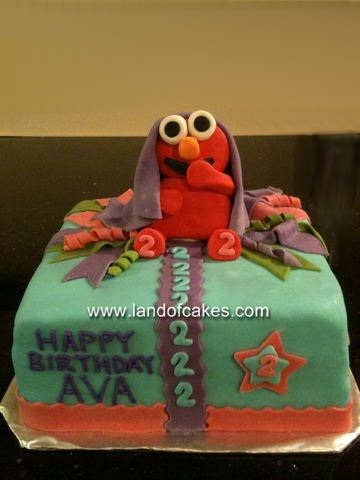 Order your elmo character birthday cake today! !